China's BYD is working on a hybrid car named 'Qin' that will also have a dashboard robot to help you navigate. The Qin plug-in vehicle will rely on BYD’s very own LiFePo4 battery that is said to be able to withstand up to 4,000 charges, retaining up to 80% of its performance in the process. It is also said to be clean in terms of being environmentally benign, since no toxic heavy metals were used in its manufacturing process. In addition, there is a robotic device on the dashboard itself that is said to come with integrated cameras. 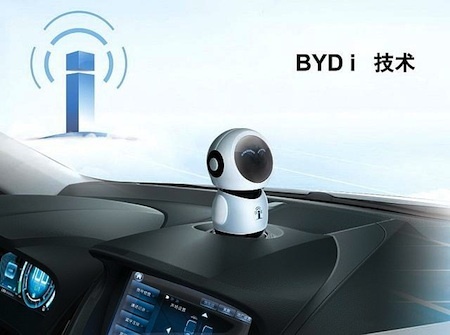 Chances are this will be part of BYD’s “i” networking system that will handle a slew of functions – wireless Internet connectivity, cloud computing, location services, music downloads, driver fatigue detection, and voice control. Luke Skywalker never flew his x-wing without his faithful droid R2-D2.